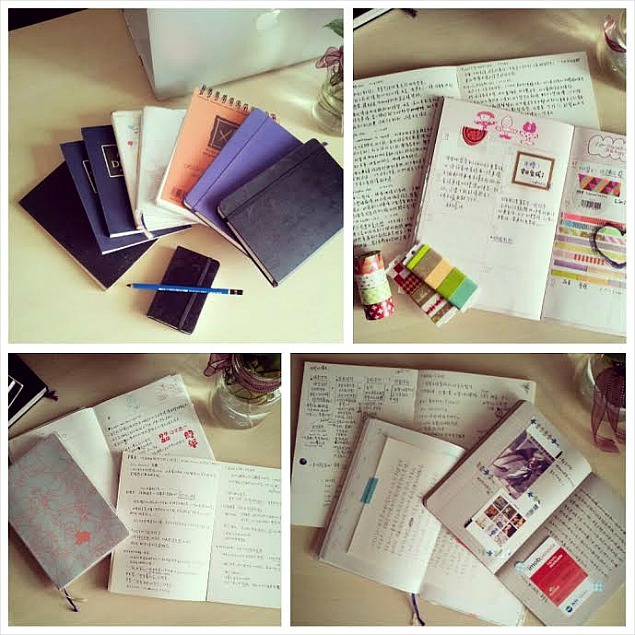 The Journal Diaries is a blog segment where we get a sneak peek into the journals, notebooks, organizers, and diaries from people all over the world. (Click here for past posts.) My special guest today is Mori from Taiwan. - Tell us a little more about yourself and your background- When did you start drawing and journaling, and how long have you been doing it for? I saw my dad's doodle (he was a mechanical drawing drafter) when I was a little girl, since that time, I started being interested in drawing. My parents were very supportive of my interest (how lucky I am!! ), so I attended art school when I was 13 y/o, then I majored Fine Art in college, now I'm preparing to get my master degree of Plastic art. Basically it was start from more than 10 years ago, but let me realized "what I'm doing," it should be I graduated from college. 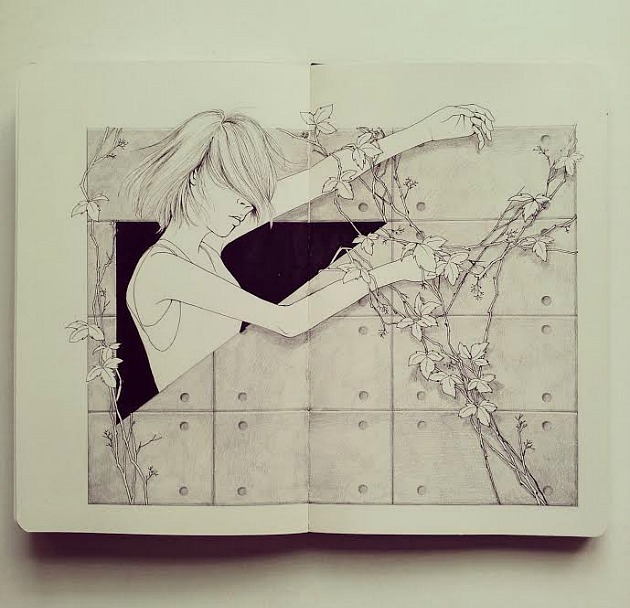 - When do you find yourself journaling, and how often do you do it? Almost everyday at anytime when I get some inspiration, I will write or sketch the idea to record the moment of feeling. All inspiration comes from daily life, anything can become the source of my creation. In addition to the images (including movies, photography, artwork, etc. ), the text is another source that gives me a lot of inspiration. 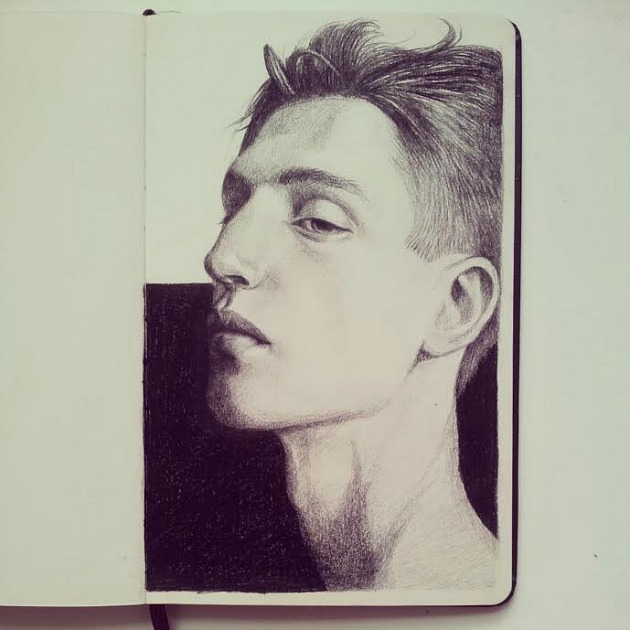 I enjoy reading, whether classic literature or novels, even lyrics of songs, or contents of chat with my friends, sometimes I would write them down, and start to imagine how to turn those ideas into images, sometimes I could present the original idea successfully and completed, but more often add another ideas in the process of drawing. 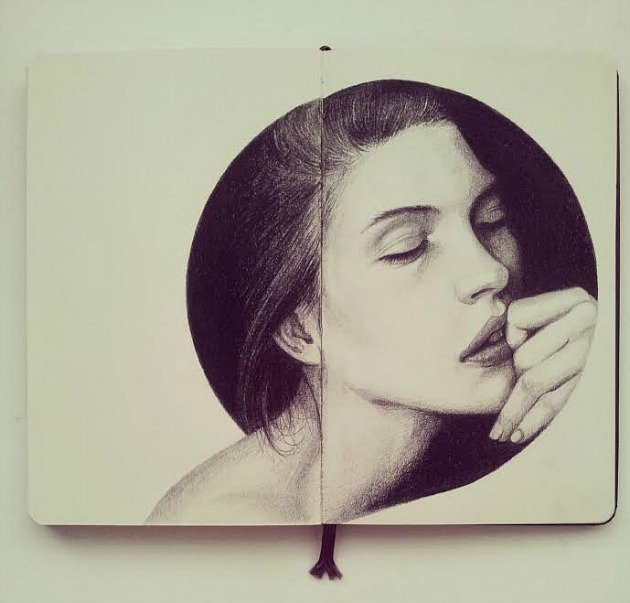 - What have been some of your favorite drawings? For me, there's no favorite work, because I always think the best is my next one, that's my favorite way to remind myself don't satisfy present situation. 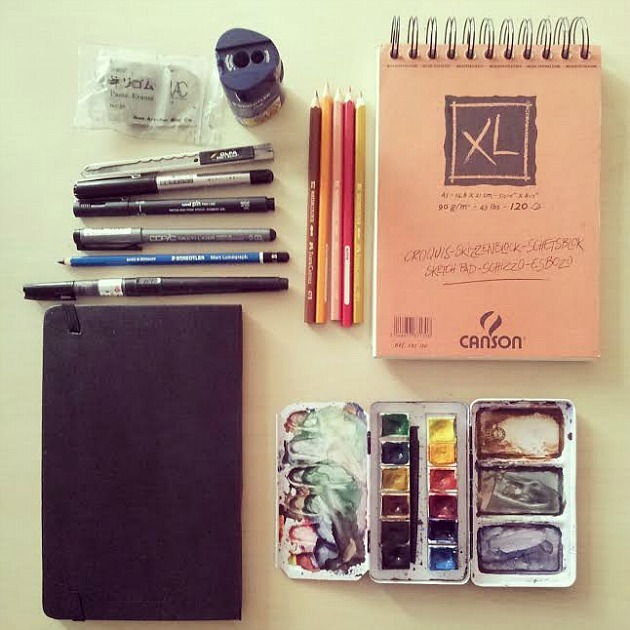 - What are your favorite journals or notebooks to use for your drawings, and what do you like most about them? 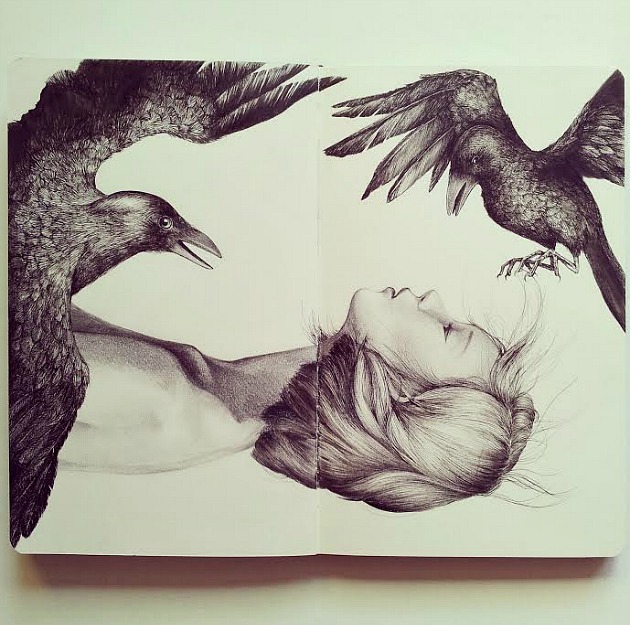 I love to use moleskine sketchbook because the simple design. Especially love the rounded corners and the elastic closure, it's practical and easy to carry for me. 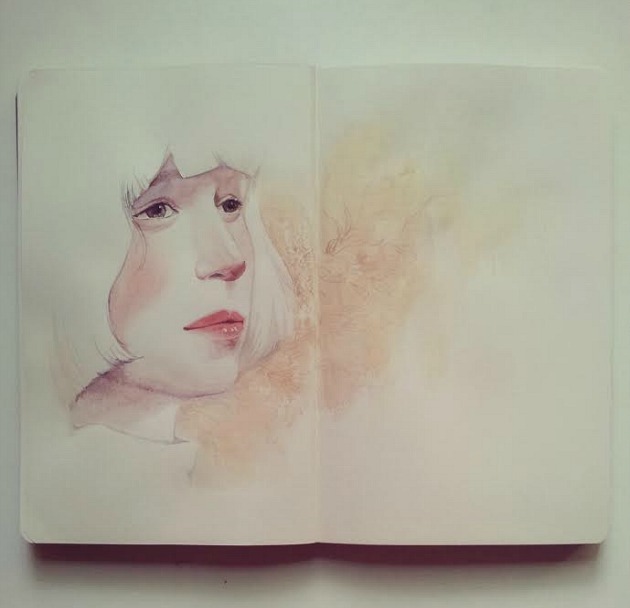 I also like to use canson and fabriano's sketchbook, and some no brand of handmade notebooks. Pencils, ink and watercolor. I'll combine them or other materials according to the feeling that I want to present. - Do you have any tips, suggestions, or advice for anyone looking to start art journaling themselves? - Other than drawing, what are some of your other hobbies and interests? 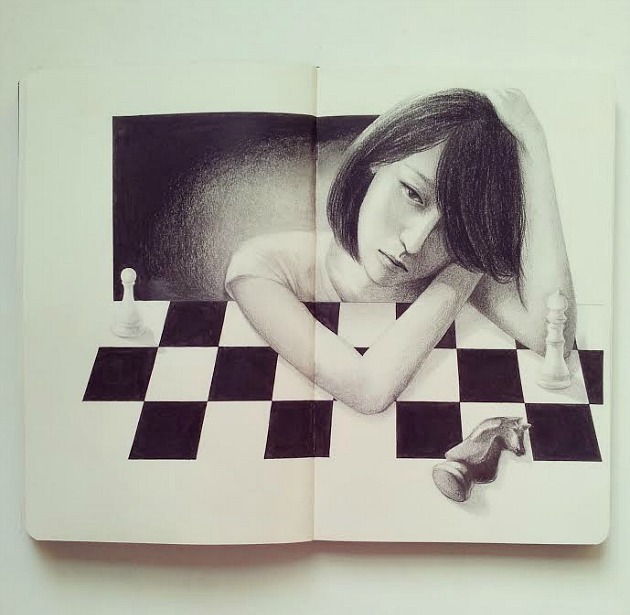 Thank you so much, Mori, for sharing your drawings with us! 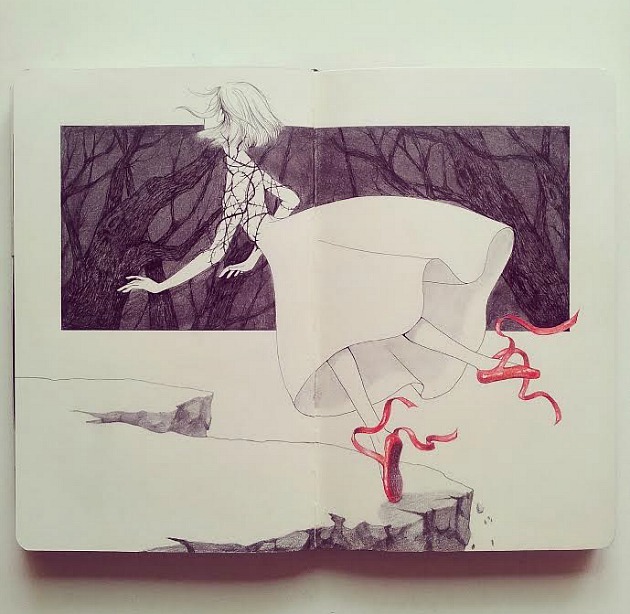 And for all you wonderful readers looking to connect, you can continue to follow Mori's artwork through her Facebook page or through her Instagram gallery, @morililynn. 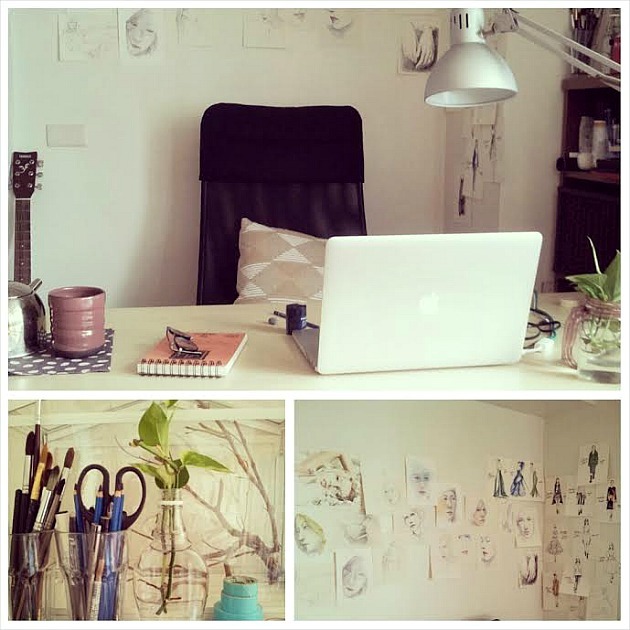 These are beautiful and her workspace looks so, so cozy! I love it. 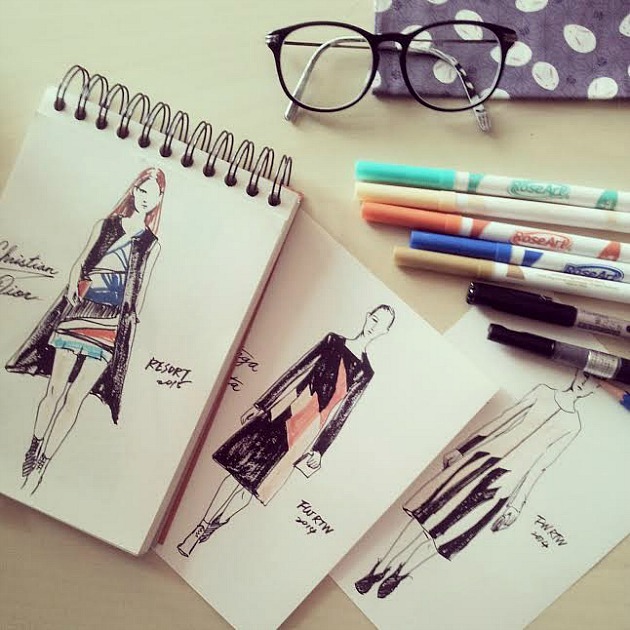 It's so great that you show different journalers' work. I'm not a journaler so my idea bank is as empty as the pages, but then I get to see how you and others style their journals and bring them to life. It's so exciting! I'd like to start journaling my memories as well, but I'm so lost as to where to start! Do you have a post where you talked about how you got into journaling, and what drew you to it? Or if you are ever out of ideas, I'd love it if you could write a post detailing what you like about journaling. As if you were explaining it to people outside of the hobby (like myself!) Because apart from the diaries I kept as a kid, I feel that now as an adult who, just like everyone else, is so used to being attached to my electronics and living the 빨리빨리 lifestyle, I can't shake it out of my head that journaling is so time consuming. So as an outsider to the hobby, the incentives (is that the right word?) to start journaling are not obvious. I'd love to hear what you think about it. Don't get me wrong, I'm super fascinated and mean all the best, but I'm just very hesitant, that's all! Airi, you should start journaling! It doesn't have to be all fancy or artsy. Just start small and with simple entries. Write about the day, your gratitudes, some pointers, notes, take notice of your everyday surroundings, etc. Once you build on that, you'll start to get a feel of your thought patterns and style. just lovely! those sketches really pop from the page. 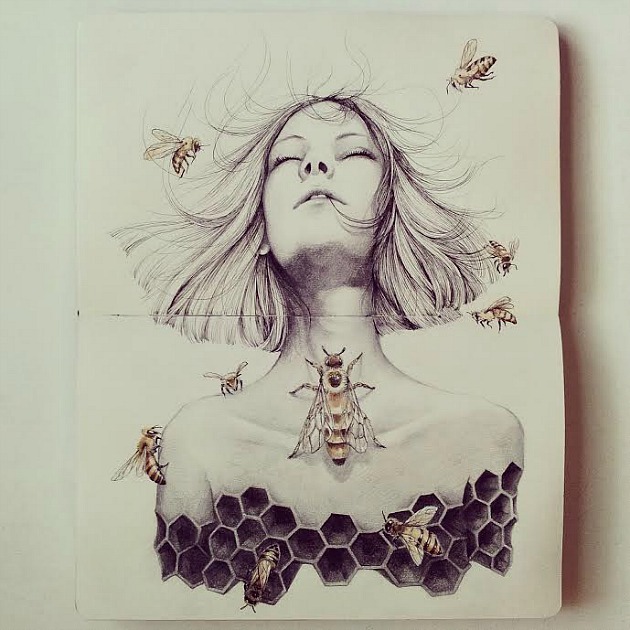 I especially like the lady and the bees. I love looking at artwork like these. I doodle for fun and I always love looking at illustrations for inspiration. Thank you for sharing this! My goodness ! She is amazingly talented! I'm blown away! Oh wow! 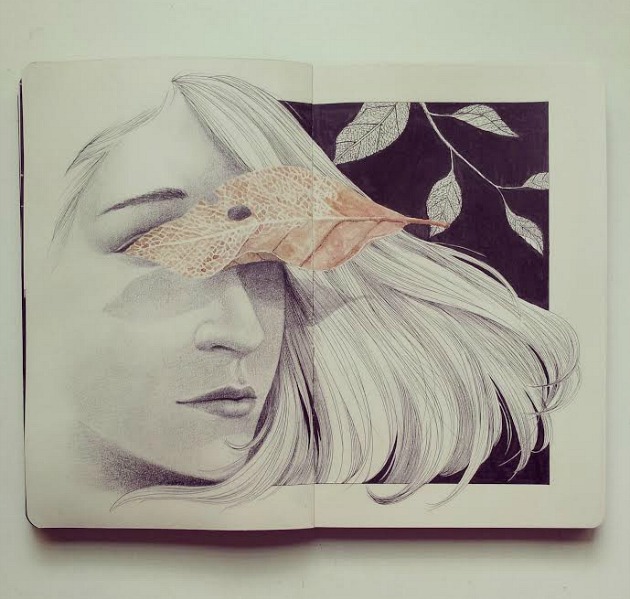 Her work is very nice and detailed. The drawings look like actual photos! its a great post of your blog. Each dairy is impressive.